The photo of the old second district police station at S. 6th and W. Mineral Street where the band held it's rehearsals. When the band grew too large for the south side station, it held its practice sessions in the abandoned morgue on N. Broadway. This picture is from the local history room, Milwaukee Public Library. It is the oldest photo of the band known to date from 1898. The first public appearance of the Police Band was on May 10, 1898, before the annual convention of the International Association of Chiefs of Police, which was held in the City of Milwaukee. The City of Milwaukee had the distinction of having the only police band in the United States in 1898. The original members of the police band were: Police Officer William Stupenagel, Police Officer Rygh, Police Officer W. Green, Police Officer Thoms, Police Officer Fisher, Police Officer Larson, Police Officer Shea, Police Officer Kendzerski, Police Officer Anderson, Police Officer Schlueater, Police Officer Kocher, Police Officer Bennett, Police Officer Krueger, Police Officer Tophofen, Police Officer Doerr, Police Officer Grimm, Police Officer Jones, Police Officer Murphy, Police Officer Hutchinson, Police Officer Longley, Police Officer Solverson, and Police Officer Myers. A Professor Winkler became the instructor for these early members. 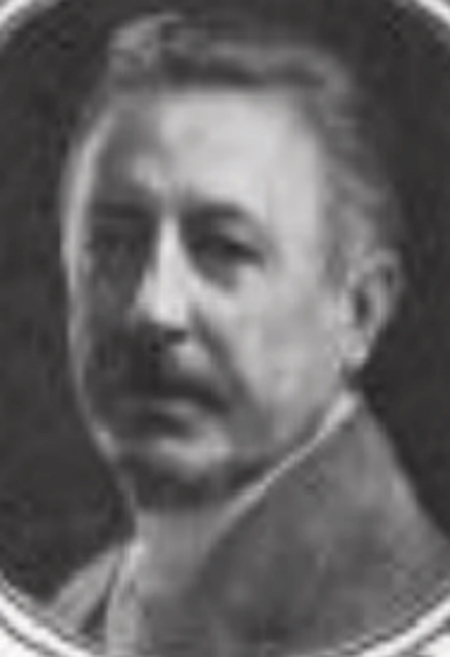 In 1922, Herman Zeitz passed the baton to his brother Charles, who conducted until 1923. He was the director when the Band made its first appearance with the famous John Philip Sousa. On October 7, 1922, the Police Band met Sousa and his band at the train station, where they played for him. Later that evening, the Police Band was invited to perform Sousa’s march “Gallant Seventh” with the Sousa Band at the Auditorium. On October 8, 1922, the Milwaukee Journal reported, "Sousa has taken upon himself the role of sponsor for the Milwaukee Police Band. Sousa wants it to be recognized as the greatest band of any police department in the country. Though members of the police band considered it a remarkable honor to play under the baton of Sousa, together with his own organization, the 'march king' sent on assurances that he held in high esteem the courtesy extended him by this offer of the local police officers." Please see article below in its entirety. The flag and banner in this photograph are kept in the display case at the Police Academy in front of the band room. This article was printed in the Sentinel on November 18, 1923. In November of 1924, the police band made its first appearance at the Municipal Christmas Tree Lighting and has been performing at a Tree Lighting in Milwaukee since that time. As of more recent years, in the 21st century, the band has been performing at the Third Ward Christmas Tree Lighting in Catalano Square in Milwaukee at 143 N. Broadway Street. (Above) Milwaukee Sentinel Newspaper article on December 2, 1926. Note: The above photo is courtesy of the Milwaukee Public Library Historic Photo Collection. NOTE: During World War I (1914-1918), the Milwaukee Police Band reportedly suspended band activities due to hardship until the war was over and then reconvened in 1919. It has been in continuous operation ever since. On February 2, 1940, Dr. Robert O. Brunkhorst was appointed as the director of the Milwaukee Police Band. He was a doctor by profession, but was highly respected as a musician. He conducted not only the Police Band but also the Tripoli Shrine Band. Under Dr. Brunkhorst's direction, the band became a regular feature on WISN radio. Several 78-rpm audio discs from those broadcasts are on display at the Safety Academy. The below listed audio tracks are from some of those recordings. The Band also made its second appearance in front of the International Association of Chiefs of Police. On November 1, 1955, then Milwaukee Police Chief John Polcyn signed the below listed document outlining the history of the police band. Below is a transcribed taped interview broadcast on radio station WFOX just prior to the annual concert of the Milwaukee Police Band on October 26, 1960 at the Milwaukee Auditorium. The interview is with Henry Kresnicka of the Milwaukee Police Department then Communications Bureau. At that time Kresnicka was the Secretary and Manager as well as Quartermaster of the Police Band and also served as its soloist. Mr. Kresnicka had in 1960 already been associated with the band for over 22 years. From 1956 – 1974, in addition to the concert band, 6 band members also performed in the “Police Combo”. The combo performed at various civic locations, including hospitals and schools, as well as special occasions, including concerts at the Milwaukee Auditorium, the children’s Christmas party, Chiefs of Police conventions and on PBS – Channel 10. In 1964, Mr. Paulish was succeeded by Perry F. Chalifoux, a professional trumpet player who had led his own orchestra in the city since the mid 1920’s. Under Mr. Chalifoux, the band made annual trips to the Veterans Home in King, Wisconsin and also played Christmas concerts at the boy's home in Plymouth, Wisconsin. Perry Chalifoux directing the band at the Police Administration Building, 749 W. State Street. In 1980, Police Officer Dennis Benjamin was appointed director by Chief Harold Breier. While Officer Benjamin was director, the elementary school program was enhanced to include a "McGruff" character and an Elvis impersonator carrying an anti-crime, anti-drug, and positive self-esteem message to area school children. In 1986, the format of the band’s annual fall concert and dance was changed to a ‘concert only’. For years, the concert and dance had been held at the Milwaukee Auditorium. With the change in format came a change in venue; the concerts were now held at the Historic Pabst Theatre. The Milwaukee Police Band Jazz Ensemble was also formed to offer a more versatile program by performing big band swing music of the 1930's and 1940's. In July of 1988 the Milwaukee Police Band played a joint concert with the Minneapolis Police Band at the Milwaukee County Zoo. Also in July 1989, the band combined with the Minneapolis Police Band and the Winnipeg, Ontario Police Band and marched in the famous Aquatennial Parade. In 1990, a high school awards program was developed with the help of Dr. Nicholas J. Contorno and Marquette University. Students from area high schools were selected to perform with the Milwaukee Police Band in a concert at Marquette's Varsity Theater. On November 15, 1991, Chief of Police Philip Arreola presented the band with a Chief of Police Superior Achievement Award. In October 1993, the Band was invited to appear at the Wisconsin Music Educators Association Music Conference in Madison, Wisconsin where they demonstrated their approach to youth programs. In July 1998 the Milwaukee Police Band celebrated its’ 100th anniversary as the “Oldest Police Band in America”. They were invited to Washington D.C. for our nation’s Independence Day Parade, and proudly marched down Constitution Avenue. In May 1999, Detective Karen Dubis and Police Officer Bobby Lindsey were appointed co-directors of the Milwaukee Police Band by Chief Arthur Jones. This was the first time in the band's history that a two director format was utilized. Lieutenant Dubis was the band's first female director and Officer Lindsey was the band's first African American director. March 2000, saw the expansion of the Milwaukee Police Band Youth in Arts Program to include a concert at Marquette Varsity Theater with new activities. Younger children were included in the program and paired with police officer-musicians who mentored and performed with the students at the All City Biennial Music Festival. The band members presented special awards to the student participants. Since 2000, the Milwaukee Police Band has achieved several great milestones including marching in Milwaukee's own Great Circus Parade (2001, 2002, 2003 and 2009) see below, the South Shore Water Frolics (July 14, 2001 – received “Best Band in Parade” honors), Marshall Field's Jingle Elf Parade in Chicago (November 21, 2001, November 28, 2002, and 2003). On Saturday, May 4, 2002, the Milwaukee Police Band Jazz Ensemble performed for the WOKY Hometown Hero Dance at Mount Mary College, 2300 N. Menomonee River Parkway for a fundraiser. Since December of 2002, Lieutenant Karen Dubis has been the sole director of the Milwaukee Police Band. Under Lieutenant Dubis’s baton, the band continues in their efforts as “goodwill ambassadors” for the Milwaukee Police Department. They cherish the opportunity they have been given to do their part in contributing to the quality of life in our community. Also, in April of 2003, the band traveled to Florida to perform on Walt Disney World’s Tomorrowland stage in the Magic Kingdom and marched in the “Share a Dream Come True” parade. On June 24, 2007, the Milwaukee Police Band traveled to Eagle, Wisconsin to participate in the Kettle Moraine Days Parade. On July 29, 2008, the Band performed at the Midwest Airlines Center for the FBI National Academy Conference. On February 22, 2009, the band performed at the Artists In Music Benefit in support of a crime victim as part of a local fundraiser. (Below) The Milwaukee Police Band performing at the Greater Milwaukee Law Enforcement Memorial in May 2009 and also with Chief Edward A. Flynn after the ceremony. From 2009 through 2014, the band along with several other local musicians, recorded Christmas songs that were put on CD's. The CD's, entitled "Sing For Your Supper", were sold as a fundraiser to support the meal program at the Agape Community Center. Also in 2009 the police band members received a generous donation from the wife of deceased Milwaukee Police Officer Harold Reinalt in his memory. This donation was used to purchase new uniforms for the band. A uniform committee was formed and chose a uniform that reflected styles of the band uniforms of days gone past. The hat that the band members wear is designed after a hat on display by the Historical Society that was sent with great care to the tailor so that they could duplicate the exact style from the early 1900's. To supplement additional uniform purchases the band members volunteer their time to staff an "Adopt A Site" for elections in Milwaukee as a fundraiser. On Friday, May 6, 2011 Maestro Marvin Hamlisch directed the Milwaukee Symphony Orchestra Pops Concert featuring songs written by himself. During this concert the song entitled, “One Song, One Voice” was performed. Director Karen Dubis attended this concert and then spent the next few weeks attempting to obtain the music for the Milwaukee Police Band to perform this piece at the annual fall concert. Being unsuccessful at finding the printed music anywhere, she finally contacted the Marvin Hamlisch website and emailed a request to help her find the music. On September 23, 2011, the band performed in concert with the Aalborg, Denmark Police Orchestra in Racine, Wisconsin. This was a historic event and an incredible experience for the members of both musical groups. On March 17, 2012, the band traveled to Savannah, Georgia and performed in concert at the Esther F. Garrison School of the Visual and Performing Arts, the Market Square and marched in the St. Patrick's Day Parade. In May, 2013 the Milwaukee Police Band Jazz Ensemble performed at Discovery World for the Police Executives Research Form (PERF) Conference. In January of 2015, the band obtained a 501(C)3 status as a non profit organization. The Band is funded solely by the Milwaukee Police Band Association. Donations help to pay for the annual concert at the Pabst Theater and other items needed for the operations of the band. No city monies are utilized to fund the Band's operations. On January 19, 2015 the Milwaukee Police Band performed for a "Salute to Police" at the Martin Luther King Jr. Recreation Center at 1531 W. Vliet Street in honor of Martin Luther King Jr. holiday. On March 14, 2015, the band traveled to New Orleans, Louisiana and performed in concert at the St. Michael's Special School, at the Artillery Park Band Shell and in the Irish Channel St. Patrick's Day Parade. On August 15, 2015, Lieutenant Karen Dubis officially retired from the Milwaukee Police Department, however, she has been approved by Chief Edward Flynn to continue on as the Director of the Milwaukee Police Band in her retirement. The old second district police station at S. 6th and W. Mineral Street where the band held it's rehearsals. According to band manager Henry Kresnicka, when the band grew too large for the south side station, it held its practice sessions in the abandoned morgue on N. Broadway. This picture is from the local history room, Milwaukee Public Library. It is the oldest photo of the band known to date. Milwaukee Police Band Dixieland Combo with Identification Tech Supervisor Karl Treu-Sousaphone (left), Police Officer Eugene Powelski-Tenor Sax, and on the far right on Trombone, Police Officer John Vollbrecht. Milwaukee Police Band Dixieland Combo in the 21st Century with (left) Blaise Matuszak, Retired Detective Paul Leshok, Police Aide, Retired Officer James Hutchinson, Jeanne Leland, Retired Lieutenant Karen Dubis. Milwaukee Police Band after a Police Memorial Ceremony in the Safety Building with then Chief Arthur Jones (center) under the Co-Direction of Lieutenant Karen Dubis and Police Officer Bobby Lindsey. Milwaukee Police Band after a Police Memorial Ceremony in 2000's. On Saturday, May 4, 2002, the Milwaukee Police Band Jazz Ensemble performed for the WOKY Hometown Hero Dance at Mount Mary College, 2300 N. Menomonee River Parkway.